Looking to gain industry insight, Ellie joins our team as our Social Media Intern. 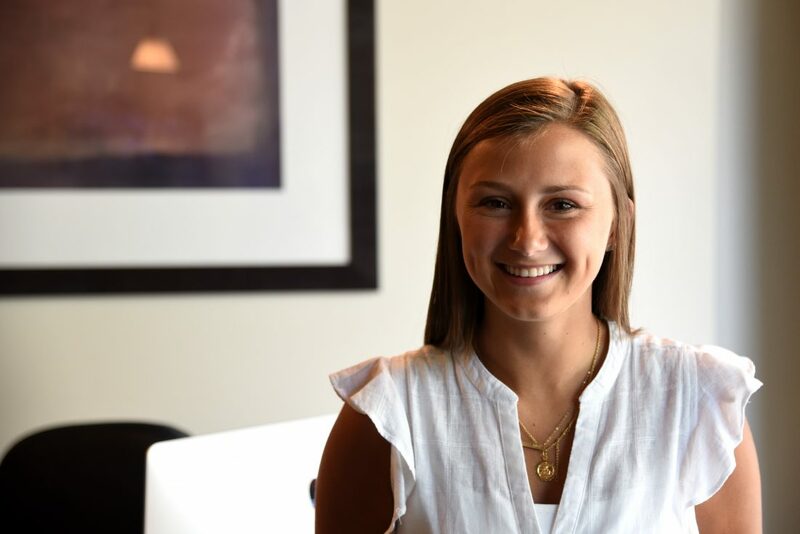 Although still getting started in the University of Oregon’s School of Journalism and Communication, she is passionate about learning more about the different career tracks advertising and marketing have to offer. We sat down with Ellie to find out more about what drives her and how she sees the world. Ellie Cross: I’m a sophomore at the University of Oregon taking pre-journalism courses to prepare for the advertising major. EC: If I didn’t have to sleep, I would spend my time creating something. EC: I think I would make a lot of chairs. I’m not sure why. But I don’t think you can ever have too many chairs. EC: My favorite social media platform is Instagram. It provides users with the creative freedom to connect with others, develop an individual brand and explore new interests. EC: My greatest fear is forgetting my past. I’ve learned so much over the course of my life and it has completely shaped me as a person. I believe that if I were to forget my past, I would forget myself. EC: The best piece of advice that I was given was repeated to me many times when I was a kid. It was mostly directed toward trying new food, but it applies to almost everything I encounter in life. “You don’t have to like it, you just have to try it.” It doesn’t matter what it is, you won’t know how you feel about it unless you give it a shot. EC: Either how many times I have used the word “the” or how many people I have ever met. EC: I believe I would be an interior designer, or an elementary school teacher. EC: I see myself still somewhat catching up on life, but happy with my job, my family and my role in the world.